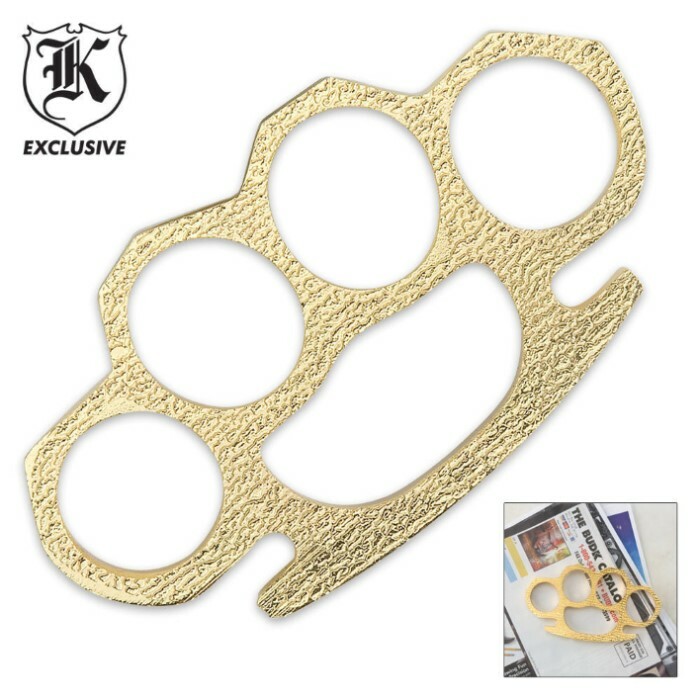 Brass Plated Paperweight | BUDK.com - Knives & Swords At The Lowest Prices! 2 or more only $8.00 each! The compact size of this piece makes it ideal for a paperweight. Most states prohibit except for law enforcement and active duty. These aren't bad. Quite a bit lighter than expected. They are strong. The "brass" flakes off easily, but who cares. They are cheap and do the trick! For the price, you really can't go wrong! My 13 year old can't wait to take them to school! Finger holes could be a bit bigger but will suffice in a pinch. Great looking and hefty for size. Great deal as with all my dealings with your company. Thanks again. Great buy for the money. Finger holes could be a little bigger,but no big deal. Could come in handy in a troublesome situation. Will definitely do business again! Very nice weight for 9 bucks. Brought it to work to keep the papers down on my desk, haven't had an issue with a customer- ahem... i mean havent had an issue with losing paperwork since then! I have no need of a paperweight, nor do I use it in any sort of traditional sense. However if you get the wire survival saw ( http://www.budk.com/product/M48-Wire-Saw/156298.uts? )it has a ring clip on either side as a handle. Using one finger to hold either end of that saw is not simply practical for the aging farmer or hunter. Putting a stick though the rings isn't sanitary and is somewhat unwieldy. If you clip each of those rings into the third finger hole, two of these paperweights make great handles for the saw and being made of metal are easy to sterilize in some boiling water before using the survival saw during a butchering session when you need to cut through bones of that deer, hog or whatever and the handles and saw can fit in a zip seal sandwich bag in your pocket instead of carrying around something resembling a hacksaw. Very solid. 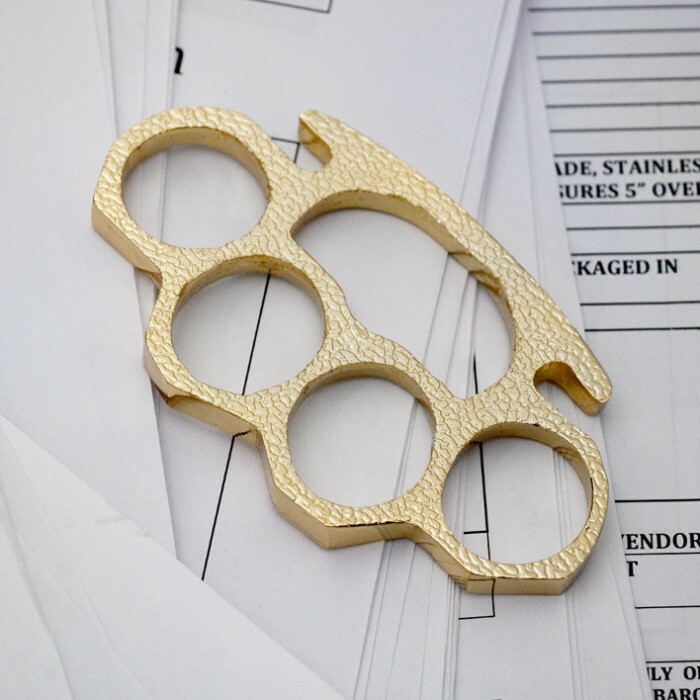 Although it's a "paperweight" it packs a nice little punch. I think I hit anything and everything in sight that I didn't mind marking up. The buy one get one worked out great. I have one holding down some papers in my bedroom and the other in the living room just in case there's something that needs to be smacked.